Aspect 1.7 is now out. Download the update here: go shake some speakers. 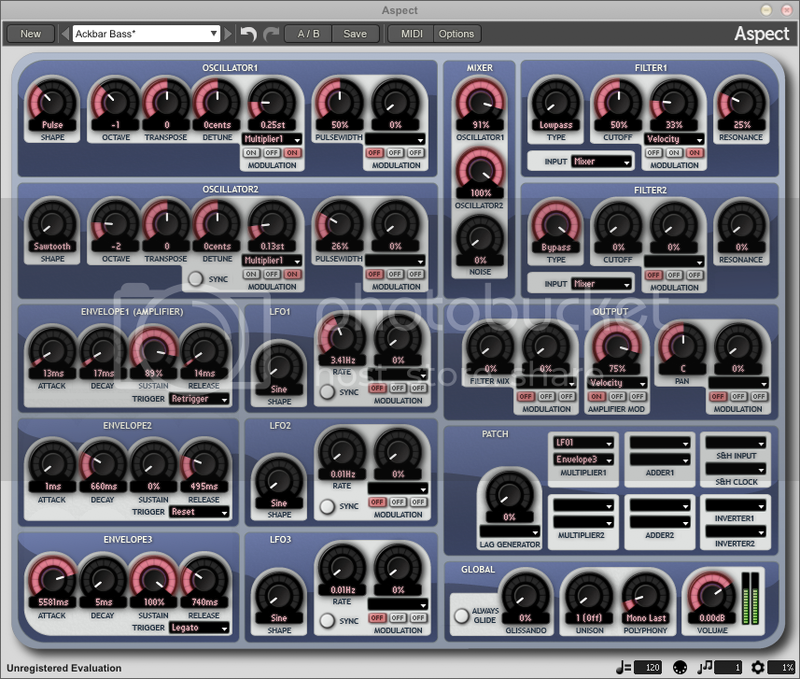 Native 64-bit VST and Standalone application versions for Linux. Mono legato modes, with selectable low, high, and last note priority. 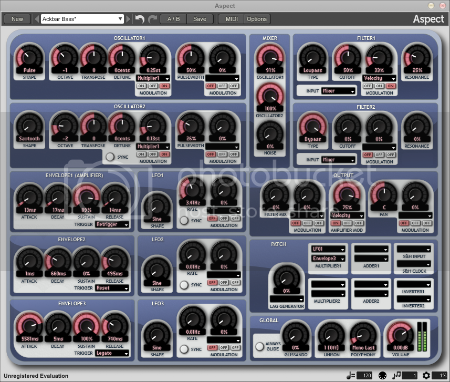 Mono unison: stack up to five unison voices in mono legato mode. Independent trigger mode for each envelope: retrigger, reset, or legato. Increased filter cutoff modulation range. CPU usage is now consistent when using the Mac OS X RTAS plug-ins.